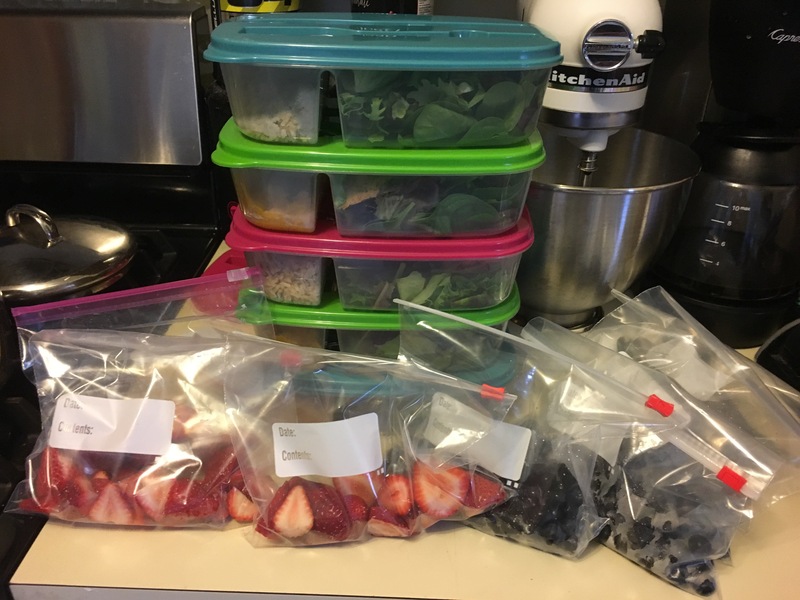 So I recently decided to meal prep and so far I’m loving it! It keeps me from buying unhealthy lunches at work or eating whatever junk I can get my hands on LOL. I only meal prep my lunches but I think it’s a good start. I usually just eat something quick for dinner like salad with some kind of meat, a tuna sandwich or rice and veggies with fish or chicken. I try to do quick and easy for dinner because I don’t have much time between picking the kids up, the gym, and getting the kids ready for the next day. When I meal prep I pick 1 meal for the week. I know some people don’t like to eat the same thing everyday but it doesn’t bother me and is less time consuming. Once I have my meal picked out I shop and prep. 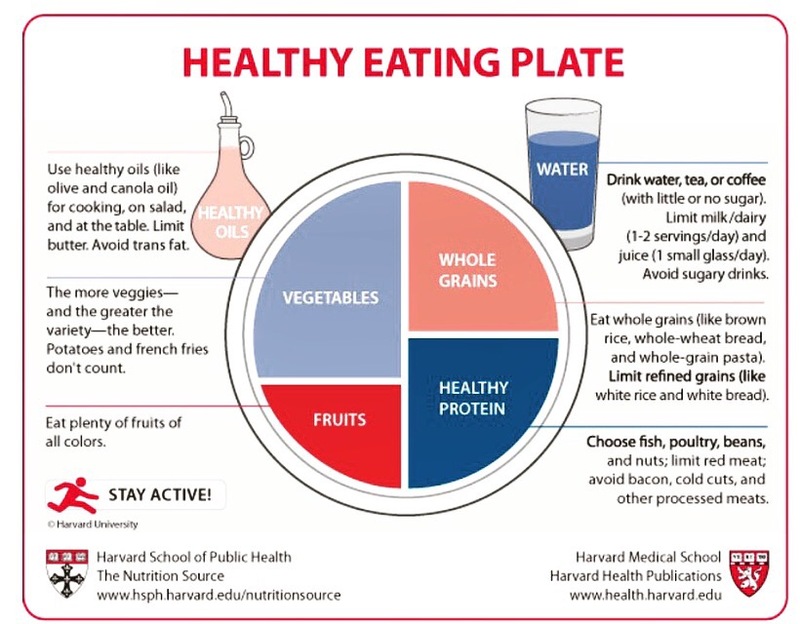 I have been trying to follow this food guide I got from work that I like. 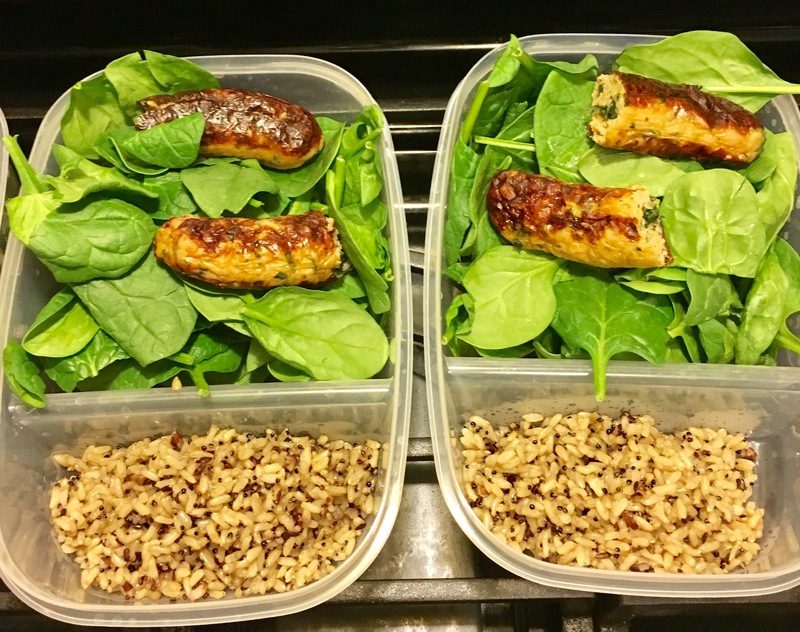 This week I’m having Sweet Italian chicken sausage with kale, baby spinach, and a rice mix (quinoa/brown rice/red rice with flax seed). I also bring fruit either strawberries or blueberries and a yogurt. I really like noosa yogurt so I’ve been eating that lately. Not gonna lie I don’t eat it all in one sitting it’s a lot for me and I only have a 30min lunch. But most of it I do finish just my ﻿yogurt I usually eat in the car on the way to pick my youngest daughter up. I’m also doing my best to drink a gallon of water a day as well. I don’t always make the full gallon but I’m trying. I also drink BCAA’s and protein shakes for workout purposes so I’m still adjusting to drinking so muck liquid in a day 😝. I also drink coffee which I refuse to give up haha. Do you meal prep? If so what works for you? I would love to hear your tips! Leave a comment below.